Day 1: Nairobi – Sirimon gate- Old Moses camp. ( 3,300m) 3-4 hrs, 9km walk, 680m ascent. 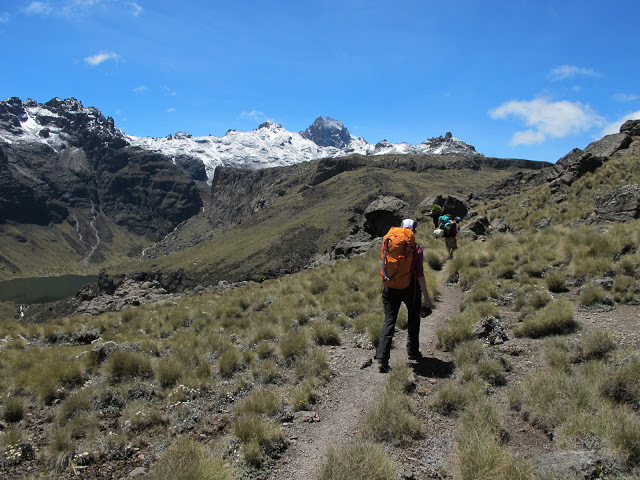 Day 2: Old Moses – Shipton camp (4200m). 7 hrs, 14km, 900m ascent. Day 3: Shipton – Pt Lenana (4985m)- Mt Kenya Bandas (2800m) 11-12 hrs, 29km, 785 ascent, 2,085m descent. Day 4: Meru Bandas – Chogoria town – Nairobi. 3 hrs, 10km walk.